Rest, Relax and Repeat at the Breathless Spa by Pevonia! One of the best parts of any escape is the chance to truly unwind, relax and experience an unparalleled level of pampering. A spa service is the ultimate relaxation and there’s no better place to be treated to a day of luxury than at the Breathless Spa by Pevonia! Escape to an exciting all-adult destination in Punta Cana, Dominican Republic, where captivating beauty and chic style combine with non-stop adventure and Unlimited-Luxury®. While at Breathless Punta Cana Resort & Spa, guests can mix and mingle with people from around the world or reconnect with those that mean the most. Featuring 750 ultra-contemporary suites with private terraces, Breathless Punta Cana is the epitome of luxury and excitement. 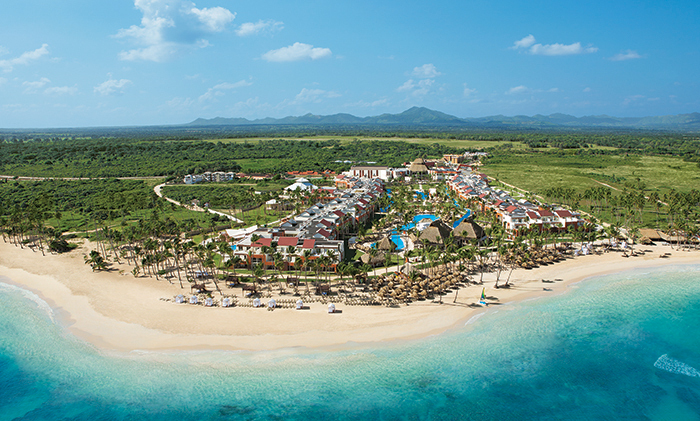 An aerial shot of Breathless Punta Cana Resort & Spa. The magnificent Breathless Spa by Pevonia treats guests to dozens of pampering choices. Experience pure indulgence through a combination of the latest hydrotherapy and indigenous treatments. Guests can choose from a wide variety of packages or select their services a la carte. For those looking for a firmer, brighter, healthier and more radiant complexion, facial treatments range from facials to eye treatments. 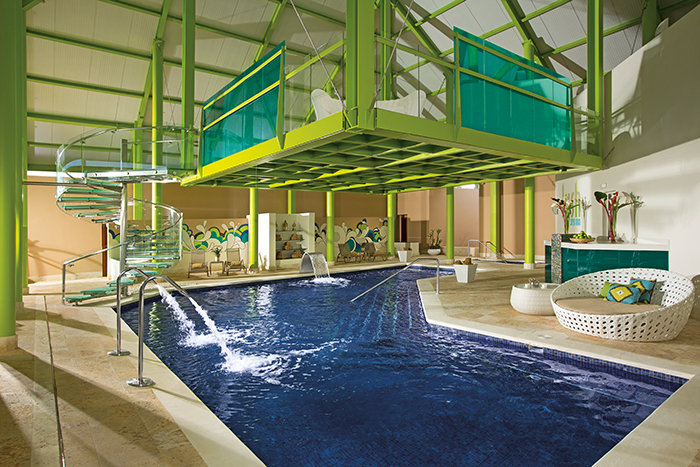 The Breathless Spa by Pevonia at Breathless Punta Cana Resort & Spa. Looking to relax your muscles, revitalize your skin and detoxify your body? Body treatments offered include everything from a full body polish to a full body seaweed wrap to even a chocolate body wrap! To transcend your body and mind to a new level of relaxation, we recommend one of the many indulgent massages offered at the Breathless Spa by Pevonia. Whether you’d like to focus on your neck, back and shoulders or go for a more traditional offering like a Swedish massage – there’s something for everyone. Ready for a day at the salon? Let our professional hair, nail and makeup staff pamper you! You can enjoy everything from a simple polish change to an exotic Papaya and Pineapple pedicure! No trip to Breathless Punta Cana is complete without a trip to the magnificent Breathless Spa by Pevonia! Book your Breathless escape today and begin experiencing your ‘ahhhh’ moment. This entry was tagged facial, massage, Punta Cana, Spa, Spa by Pevonia, spa packages, spa treatments. Bookmark the permalink.